Akshaya Healing offers various forms of massage and energy balancing to support your healing needs. Ranging from Remedial massage to Intuitive Healing, all modalities offered provide support physically, emotionally, mentally and spiritually. Whether it be to nurture yourself and relax, or work through tension or stress-massage is the most beneficial form of professional touch. My philosophy with massage is when you touch a body you touch the whole person, the mind, the emotions, and the spirit. I approach massage from a very holistic perspective and believe this is evident throughout the treatment. Massage usually available on Tuesday, Thursday and Saturdays and mobile massage is available for an extra charge and in evenings. It is best to look over what you would like and email or call me to book. Other therapists and days may be available if needed. You can transfer money or pay cash on the day. ﻿My signature treatment is truly a healing one and balances on all levels of your being. You will experience a combination of massage styles, drawing from Deep Tissue, Swedish, and Hawaiian, each style is chosen through listening to what your body needs at that moment during the treatment. This is combined with energy healing – a practice of balancing chakras and clearing blockages in your energy field. Seriya also weaves shamanic bodywork into the session. The flowing sequence often includes crystals, Tibetan & crystal sound bowls, and finishes with a card offering an intuitive message chosen specifically for the client during treatment. Each treatment includes a short consultation to share what may have arisen within the healing. Please note that the entire session times include your pre and post consultation time. This is the key session which clients book for. This one also includes a reading during the session seeing what minerals the body is lacking, and how this may be affecting you not only physically but emotionally and spiritually too. *Health Fund Rebates Apply and this can be a Pre-Natal massage if needed. Sometimes clients feel that they need more than what can be covered in the treatment time, in terms of advice, guidance or spiritual counselling. If you have more questions after the treatment an extended consultation may be an option for you. I will recommend Seriya because I felt like she listened to my history of injury and worked with and around that with elements of deep tissue massage as well as extraordinary kahuna and energy. I was completely open to her touch. Ka Huna Bodywork is not just a deep remedial massage, it is also a healing treatment to assist in balancing your being through clearing unwanted energy and moving into present moment awareness full of ALOHA(love). With the philosophy based in Ho'oponopono, Ka Huna treatments will leave you inspired, refreshed and deeply connected. This treatment is most suitable for relieving stress and calming the nervous system. A gentle, soothing massage aimed at promoting relaxation, treating insomnia and improving blood and lymphatic circulation. Would you like a session in the comfort of your own home? Click here for details. The treatment is formed around YOUR postural alignment and/or injury assessment. Ideal for anyone with muscular pains and strains, skeletal problems, sporting injuries(treatment or prevention) or seeking athletic improvement. Specific techniques may include trigger point therapy, stretching, and acupressure. This massage penetrates more deeply into the muscular layers, ligaments, tendons and connective tissues. It helps improve flexibility, relieve pain, and re-align postural imbalances. It is ideal for those suffering from chronic pain or for anyone who enjoys firm massages. This is a 2 hour session of nurturing to your pregnant body. Massage to relieve physical tension, reiki to balance your energy body, crystals and sound to bring soothing to the body, mind and soul. This session also includes a consultation before and after the massage to support women in their pregnancy journey. Sometimes there is more than just the physical experience of being pregnant, but the emotions that can also arise with the journey. The massage part of the session is 1.5hrs. Seriya holds women through their pregnancy with nurturing, care and support. "Seriya has supported me on all three of my pregnancy journeys and I feel so lucky to have had not only the physical massages each month, but also the emotional support from someone other than the medical system." Seriya weaves toning, clear quartz crystal bowls, tibetan bowls, mantras, gongs, hung drum, medicine drum, chimes and the Indian instruments harmonium and tampura into a private Sound Healing. To read more about the benefits of this sound therapy, trainings in it and booking group events on offer click here. "The vibrational frequencies of the bowls resonate with the physical body and the subtle energy field, around the body, thus facilitating the harmonising of the heart and the mind, the physical with the spiritual." A private consultation with Seriya includes a crystal card reading, intuitive guidance and a liquid crystal remedy to take home with you. Mineral therapy is a powerful modality which can assist you with various aspects of your life. Whether it be a physical illness, an emotional blockage, or you just need some deeper insight into your life purpose, these sessions can bring you back into balance, assisting all levels of your being. "The liquid Crystals (TLC) are geometric vibrational remedies made from the Earths Metals, Minerals and Crystals. They are change facilitators, healing Spiritual, Emotional, Mental and thus Physical imbalance." Want some more healing options to deepen your massage experience? A beautiful blend of crystal bowls, Tibetan bowls, chimes and sounding to enrich your massage experience. This will help in taking you into a deeper state of meditation and bliss. Seriya can assist or guide you on your own healing journey, through discussion and advice. If you feel like there are areas of your life that you wish to work on, or something specific that you hope to achieve, this could be an option for deepening your massage experience. A perfect way to relieve stress and allows you to relax deeper at the beginning or end of your massage. The technique uses controlled movements and has a strong effect on the three higher chakras – the mind, body and spirit. Clients who struggle to fully surrender and let go of the mind during a massage, find this option helpful. A great added extra to promote relaxation, improve circulation, reduce pain, soothes tired feet, and encourages overall healing. Applying pressure to reflex areas on the feet can promote health in the corresponding organs through energetic pathways. For those who are wanting to go deeper into their massage and calm the active mind, this may be a good option to add to the beginning of your session. Seriya will guide you into a deeper state of awareness, which in turn allows you to connect more fully to your body’s needs and wisdom. This technique involves Seriya stretching the client on a comfortable mat on the floor. It is a technique from the Kahuna Hawaiian tradition and akin to Thai massage and Shiatsu. Seriya uses her weight to create deeper pressure into the muscles with very relaxing effects and a great way to warm up the body before jumping onto the massage table. If you would like to book in an for incredible massage or healing treatment and I am not available, I have therapists working for me that are amazing and I trust with my beautiful clients. So please choose the therapy you are interested in below and simply email seriya@akshayahealing.com to make your booking today. I will arrange the session with the therapist that specialises in your requirements - see below to find out more. Giving the gift of massage is a wonderful surprise. "Seriya's massages, be they transformational Kahuna or getting-right-in-there Deep Tissue are just simply the best I have ever had, ever! She skilfully and intuitively hones in on precisely what blocks need attention." "Seriya very much tunes in to where you're at and inspires, motivates and transforms. It has been pure pleasure and a great honour to have had the chance to get so many treatments from her." Essential oils have been uses for thousands of years to support people on an emotional, physical, mental and spiritual level. I grew up with oils, but I never really integrated them into mu daily living beyond the simple lavender, until I was introduced to DoTerra. This company is not only ethical, but the products are the clearest, purest and therapeutic in the world. That is their mission, and they really reach those goals. Oils can be used within your home on a daily basis to help break you and your family out of the habits of reaching for quick fixes that modern medicine is always providing. Why not go to the root of the problem? Since using these oils, I have started cooking and cleaning with them too... they are so pure in their plant extracts that we can digest the oils to support us with certain health challenges. 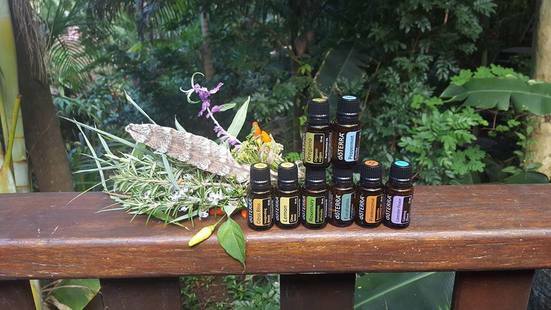 if you would like to just get started and buy some oils at wholesale prices in Mullumbimby, Byron Bay or any where in Australia. click here and create your own account. Once you do this you will automatically become a part of the support team I offer to help you along your oily journey!!!! What does a wholesale account mean? CLICK HERE and choose the AU OTG local warehouse, WHOLESALE ACCESS option, and either pick the kit you want or choose the $35 enrollment option (waived with a kit) and type in below the names of the products you want from the full price list. See the different Kits below! And reach out if you have any questions as I can support you through the process!